Regular birth control and Plan B all wrapped up in one method, and without any of the annoying side effects. What if there was a birth control that was hormone-free, 100 percent natural, resulted in no side effects, didn’t harm either eggs nor sperm, could be used in the long-term or short-term, and — perhaps the best part of all — could be used either before or after conception? Thanks to ancient Chinese folk medicine, that’s not a far-out dream. 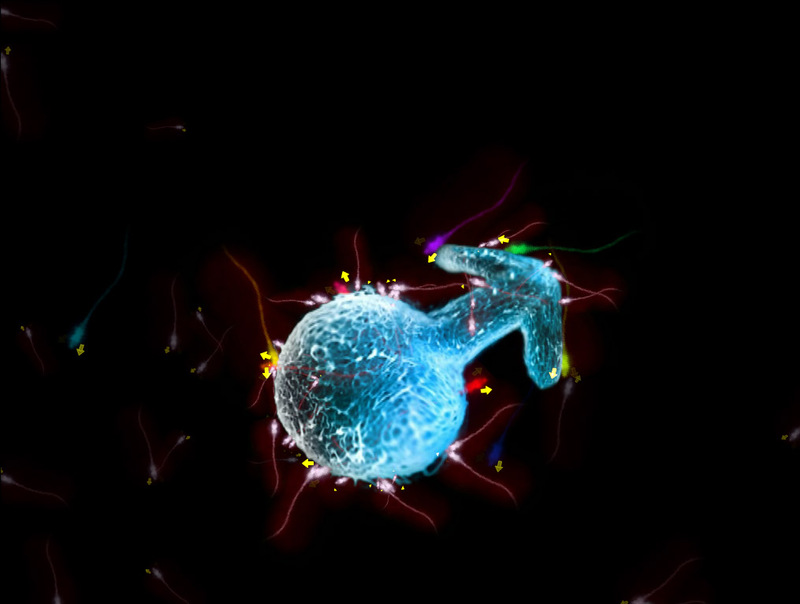 Here’s how it works: In order to actually penetrate the egg, sperm need to whip their tails faster to pick up momentum. But there are two plant compounds that can prevent sperm from doing this, no matter how valiantly they may try — lupeol, found in mango and dandelion root, and pristimerin, from a plant called the “thunder god vine,” the leaves of which had been used as birth control in traditional Chinese medicine. The sperm and egg are never actually harmed; they’re just never able to meet. I actually have nothing to add to this. In previous research, the team had identified progesterone as a key hormone in triggering the sperm tail-whipping, which it facilitates by binding to a protein called ABHD2. While reading up on folk medicines and indigenous methods of natural contraception, they found the lupeol and pristimerin and eventually determined that both work by keeping progesterone and ABHD2 apart. The concentrations of the two substances that exist naturally in plants aren’t high enough for cost-effective commercial birth control, so the researchers are now looking for alternative sources. Hormone-based birth control methods are generally well-tolerated by most people who take them, but they can also bring accompanying side effects that a lupeol- or pristimerin-based method would not. And even though they could also be used as emergency contraception taken after conception, like Plan B, it’s possible this would be a more palatable option to some who disapprove of Plan B because it can stop fertilized eggs from being implanted and prevent the egg from being fertilized in the first place.